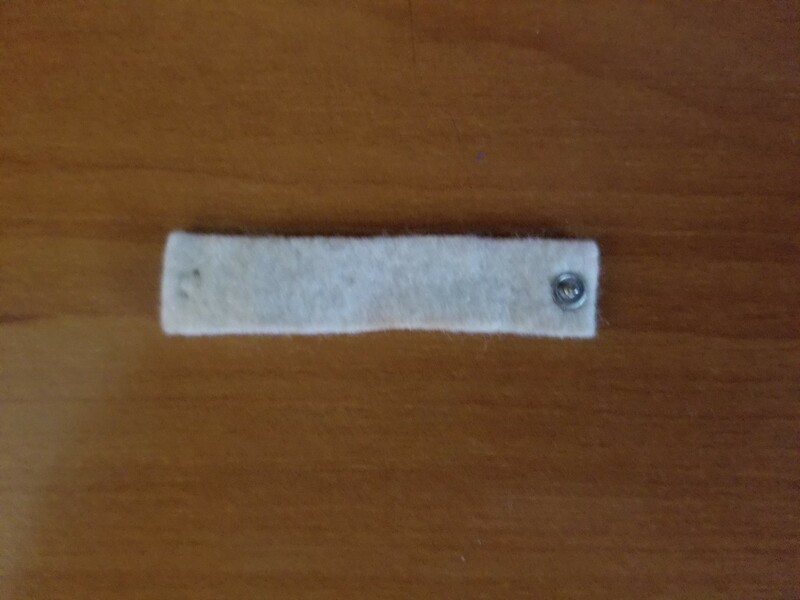 I don't always like saying something is rare, but this is a very hard piece to find. 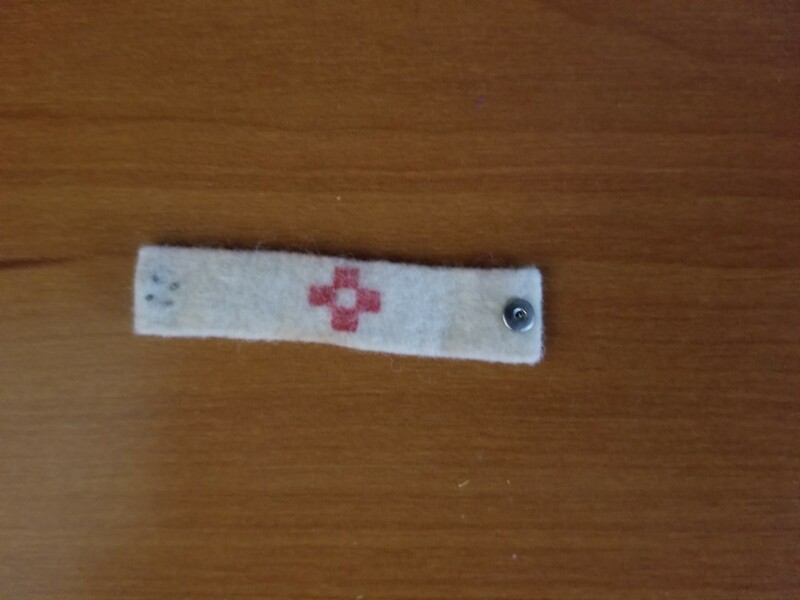 This is a "rare" 1967 GiJoe Nurse Medic Armband. 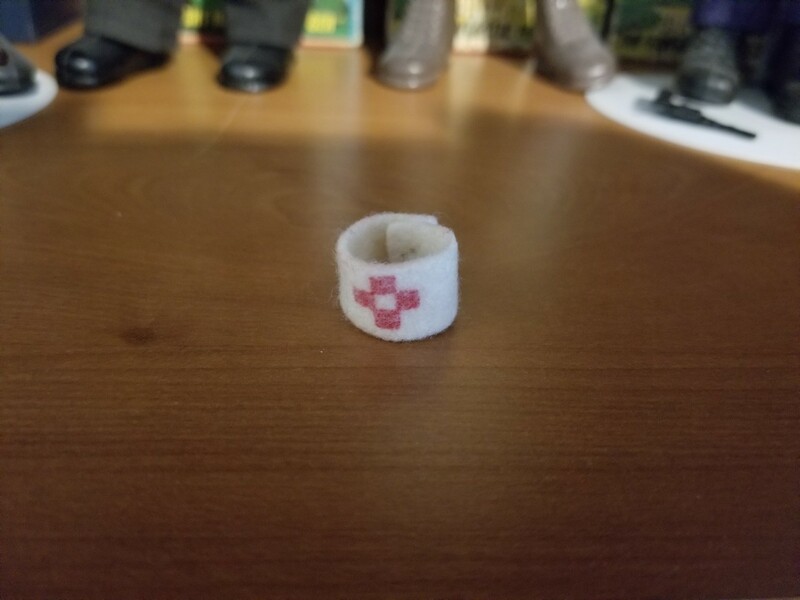 This is the snap version of the white with red cross medic logo on it. 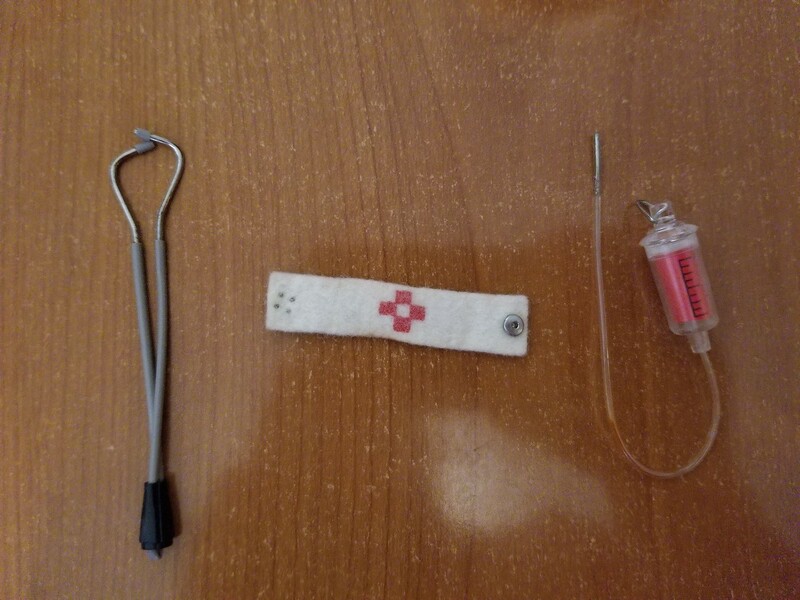 The snap version is different from the more common hook version and was unique to the Nurse. It is in very nice condition, and I'm including an IV and stethoscope that was found with it as well. Please ask any questions and I can send additional pictures if desired. I'm still looking for early brass rivet Joes, but would consider other trades/offers.